Concussion injuries are injuries to the periodontal ligament, or to the nerve and blood vessel tissues at the tip of a tooth’s root, caused by a forceful impact to the tooth. It can occur from a direct blow to the tooth, a blow to the lower jaw that forces the upper and lower teeth together rapidly, or from biting forcefully on unexpectedly hard food. Concussion injuries frequently result in tenderness to biting, and usually gets better on its own through avoidance of the tender tooth. How does the dentist diagnose Concussion Injuries? Tenderness when tapping on the tooth (the tooth may NOT be tender to biting SLOWLY, unlike a cracked tooth, which usually is). Absence of significant X-ray findings (if the condition has been present long enough, the ligament space around the tooth can appear noticeably enlarged). The tooth may or may not be sensitive to cold, but is usually not sensitive to heat or sweets. The patient usually confirms having bitten down hard on something, or having sustained an impact force to the tender tooth. Absence of cracks, and absence of tooth decay in the tooth, which generally appears to be intact. Over time, the tooth may discolor or darken. Sometimes the tooth will undergo “calcific metamorphosis”, meaning that the tooth’s root canal space may calcify partially or completely closed. Pulpal necrosis (i.e. death of the soft tissues inside the tooth) is uncommon (3% in some studies) with concussion injuries. How are Concussion Injuries treated? Concussion injuries may be treated in several ways. 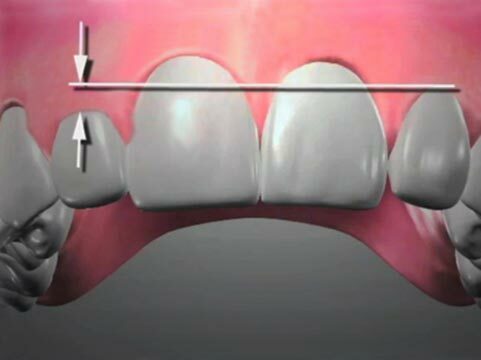 Adjusting the bite on the tooth (occlusal adjustment) may provide partial relief of the problem. The dentist may recommend anti-inflammatory medication to patients who can safely take them. Monitoring the status of the tooth to rule out a developing abscess is the usual protocol for bruised tooth ligaments. This involves follow-up as needed with the patient, exposure of a preliminary X-ray image when the problem is reported, and possible additional X-ray images at dentist-determined intervals afterwards. 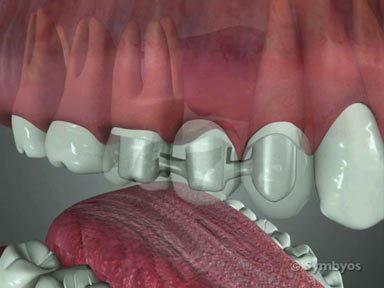 Root canal therapy (endodontic treatment) may become necessary if symptoms don’t resolve.